Revolutionizes new hair treatment resembling the treatment of hair care experts with conditioning treatment providing constant care enriched with valuable nutrients from multi-natural oil complex and pure natural oils from the plants of the Far East. Provides concentrated intensive care and restoration with natural oils the reach the core of damaged dry hair, for a naturally healthy look. Cares for hair from the internal to external structure while conditioning your hair for smooth softness and styling ease. 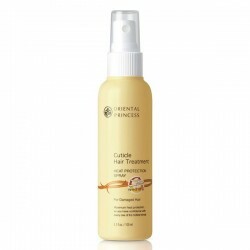 Coats and protects hair cuticle for natural silky smoothness. Use regularly every time you shampoo for genuinely healthy hair.